Let's look at some basic options that all users will want to perform. Touch to open the keypad. Use the keypad to key in the number. Touch to initiate the call. To end the call, press the Smart key. To answer a call touch the Smart key. Touch Messaging in the Communication tab, then touch New message to start your new message. If you want to add an image, video, or sound, touch Insert. Since you want the message to go to someone, Touch Recipient at the bottom of the screen. Then enter the number or touch to select a contact. Multiple contacts are also available. To set up e-mail press the Communication tab, and start the e-mail setup wizard. To retrieve your e-mails touch the Communication tab, and touch the email account. Press the camera icon key on the right side of the phone. When the camera has focused on your subject, touch the camera icon on the right-center of the screen to take a photo. Press the camera key icon on the right side of the phone for a few seconds. Holding the phone horizontally, point the lens towards the subject of the video. Press the camera key icon on the phone once to start recording. Rec will appear at the bottom of the viewfinder. To pause the video, touch and resume by selecting the pause button. Press the camera icon a second time to stop recording. The controls of the GD510 depend on the task, but first here are some touch screen tips to be aware of. Press the center of the icon to select an item. Because the touch screen is sensitive to touch avoid hard presses. So use the tip of your finger to touch the option, and be careful not to touch any other keys. Whenever your GD510 is not in use, it will return to the lock screen. To scroll from side to side just touch and drag from side to side. Handwriting recognition is easy to use. Start by selecting Handwriting-Screen or Handwriting-Box, write on the screen and the GD510 will convert your handwriting into your message. You can use a USB cable or Bluetooth to set your phone up as a modem. This way your PC can connect to the Internet. 1. Create a modem connection with a USB cable. LG PC Suite must be installed. Connect the PC to the GD510. Click InternetKit and followed by New and select Modem. Create the Internet Profile and save it. This profile will appear on the screen, select it and now you are connected. 2. Create a modem connection with Bluetooth. Make sure that the Bluetooth is on and visible. Pair your PC and GD510 and a passcode is entered. Start the connection wizard … this creates the Bluetooth connection. Click InternetKit and followed by New and select LG Mobile USB Modem, click OK.
You can use a Bluetooth device with the LG Phone. Here is how you would send a file. Your Bluetooth must be on and visible. Set up your Bluetooth according to the instructions to put it in pairing mode and pair your devices. Open the file that you want to send (like a video, or music file). Choose send, then choose Bluetooth. Select the device that you want the file to go to. There are various customization features that you can use to make the mobile phone more personal. Here are some customization tips. Go to the Touch Gallery in the Entertainment tab. Touch the photo you would like to set as your selection. Touch the screen to open the menu. You can change the size of the picture with plus icon. Go to the Games & Apps in the Entertainment tab. Touch Games, then choose a game to launch. Touch Connectivity in the Settings tab. Select network; you have two options, automatic and manual. With automatic, the GD510 automatically searches for the network. With manual, all currently available networks are shown. You can add a preferred network if you choose. 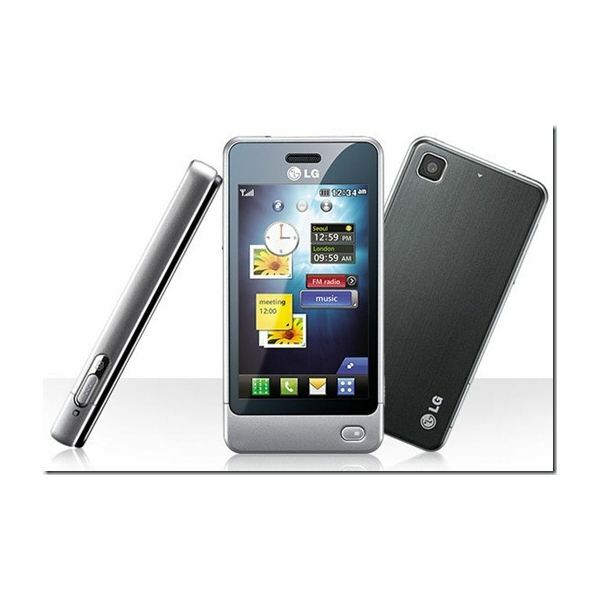 Any user of the LG Pop GD510 would be wise to download and use the user's guide. It comes with many step by step instructions to a panoply of items that are part of the LG phone system. By not working with the LG Pop phone user's guide, many features will be missed, or mis-configured. You may also be interested in reading about the best budget LG phones.